Goods worth billions of Naira have been lost in a fire at Benin city’s biggest shopping centre – Hallmark. The building had only just being renovated earlier this year and while there is speculation that someone may have started the fire, it is most likely due to wiring fault. 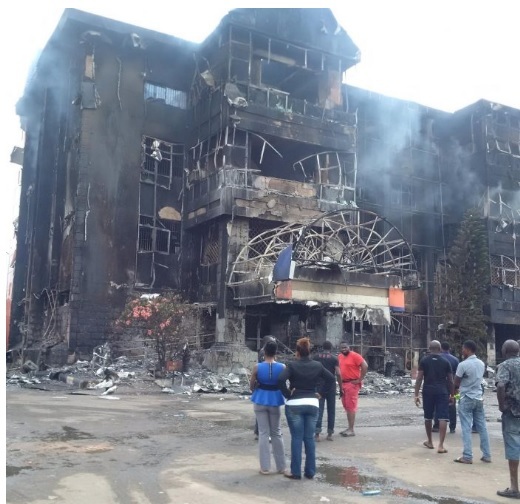 If not for the Nigeria Air force fire service, IDSL NPDC and UNIBEN arriving shortly after the fire started at about 12am, it could have been far worse – the building could have collasped and worse, hurt people. UK Nigerian, Worldwide Fire at Benin Hallmark Bookmark the permalink.